John Andrew Jackson The Experience of a Slave in South Carolina. The Experience of a Slave in South Carolina. London: Passmore & Alabaster, 1862. 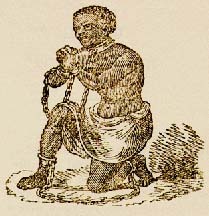 Slaves -- South Carolina -- Biography. Slaves' writings, American -- South Carolina. Funding from the University Library, University of North Carolina at Chapel Hill supported the electronic publication of this title.